It’s pretty much common knowledge at this point that businesses need to have at least some online presence. Since the vast majority of customers look for information online first, it only makes sense to have a website. Yet for all of the benefits of websites, one that’s often overlooked is the potential for cost savings. 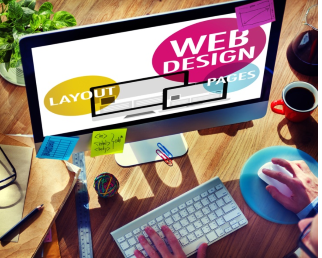 Yes, a website does cost your business some money. However, when you develop a great website, you will earn back your investment and then some. That doesn’t mean you need a fancy site with all of the bells and whistles, but a well-designed, informative site can go a long way toward protecting the bottom line while helping your business reach its goals. Your website can fill an important role when it comes to customer service. Not only can customers find information they need about your business — your hours, shipping and return policies, location, etc. — but they can also turn to your website for information about your products and services that answers their biggest questions, when they want those answers. This saves you money because not only does a complete, well-designed website entice people to do business with you, but you can also save money on personnel costs. You don’t need to hire as many people to answer phones or manage customer service. A big part of running a successful business is having a thorough understanding of your customers. Who is buying from you? Why? What do they want from you that they can’t find elsewhere — and what are you not giving them? It used to be that creating a customer profile required a major investment of time and money, and a certain amount of guesswork. Thanks to web analytics, though, you can capture the insights about your customers and your business faster and more easily. You can easily determine where your customers come from, what terms they are searching, what they prefer in terms of language and site design, what offers are appealing, and more simply by analyzing the data from your website. When your website is set up to capture this data, not only does your business save money on market research, but you don’t waste time and money on promotions that fail to engage. Okay, so technically, great content on your website doesn’t really save your business money. In fact, great content can actually cost money, when you factor in the time and resources required to create content that drives traffic to the site and get visitors to convert to customers. However, the simple fact that relevant, useful, engaging content can drive conversions and get people to become your customers should put content at the top of the list for your marketing spend. 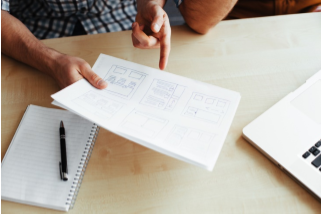 Content, from your blog to your product descriptions to your About page, is a key part of any solid website strategy, and in the long run, can save your company money on other marketing activities. One of the easiest and most effective ways to expand a business is to take it online. Opening a physical location is a major expense, but an online storefront can be up and running quickly and inexpensively thanks to simple, DIY website design tools. Even if you don’t sell physical products, an expanded website can help bring your business into new markets, or introduce new services, without a major investment in physical space. We’ve heard the story time and again: A business spends thousands of dollars designing and printing marketing collateral, only to have the glossy brochures and catalogs gather dust in a storage closet when they become outdated. Updating printed materials can be pricy, not to mention most people prefer to find information online when they need it. With a website, you can keep all of the most important information about your business up-to-date in real time, and you don’t have to worry about the printing, storage, and mailing costs for physical materials. Developing a website requires an investment of resources, but it is time and money well spent. If you haven’t yet gotten around to putting one together for your business, or the site you do have is lackluster, put some time into making it better. The payoff will be reduced expenses, along with more sales and better marketing.